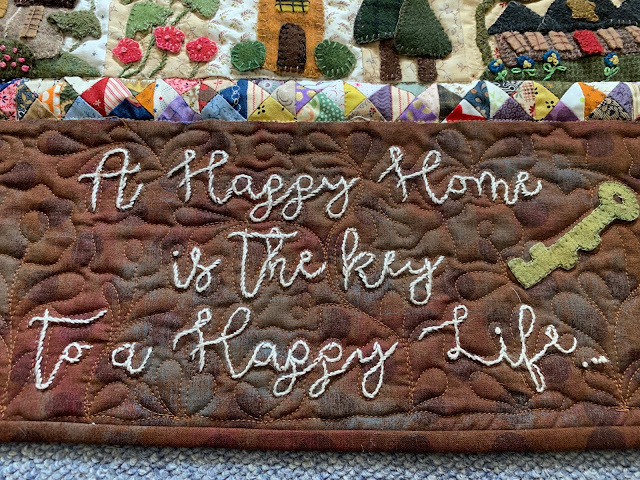 I put the borders on this wool applique project; this is the one which will have a gazillion tiny (1/2" fin) half square triangles. This is the center which still needs a few more flowers. 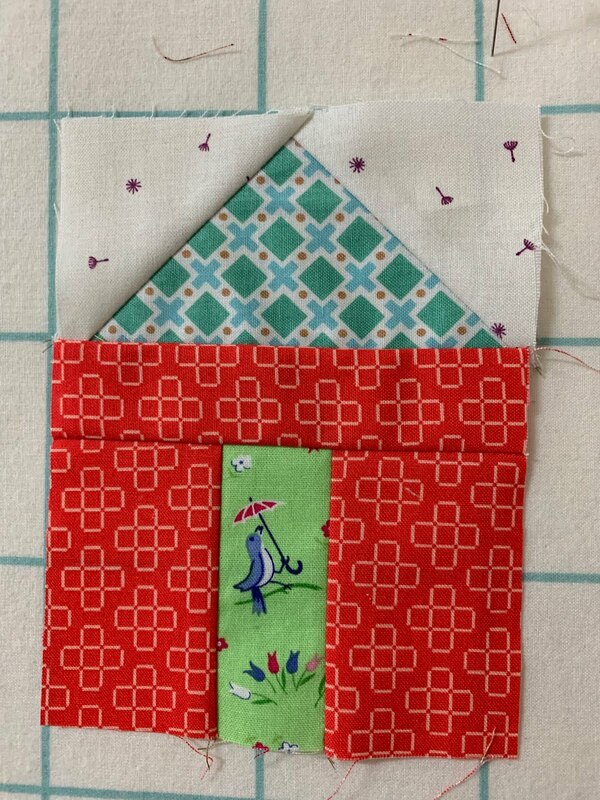 I had to wait until the borders were on to sew down the flowers, which go into the border. 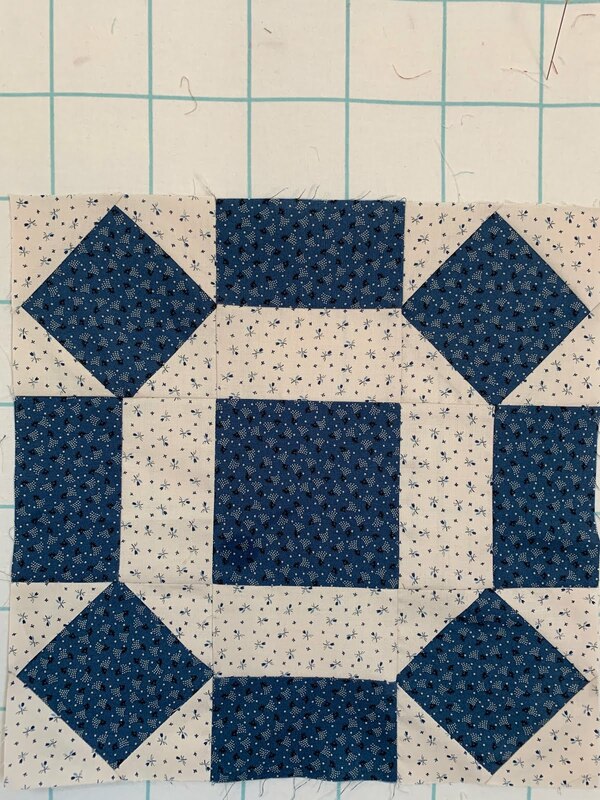 There are 12 wool applique blocks which circle around this center medallion. 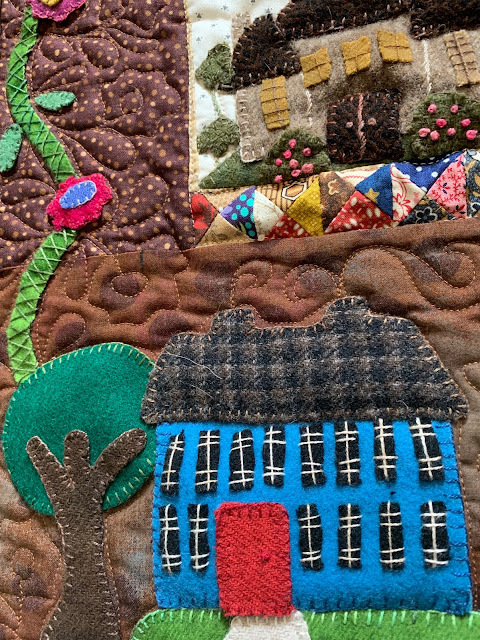 There are also wool applique cornerstones throughout. It'll be gorgeous when it's done--and I can have my favorite LAQ do her magic. Speaking of that, I picked up my latest finished project from her yesterday and she did a phenomenal job, as always. This was the Cheri Payne top I had sitting around a few years waiting for a border. 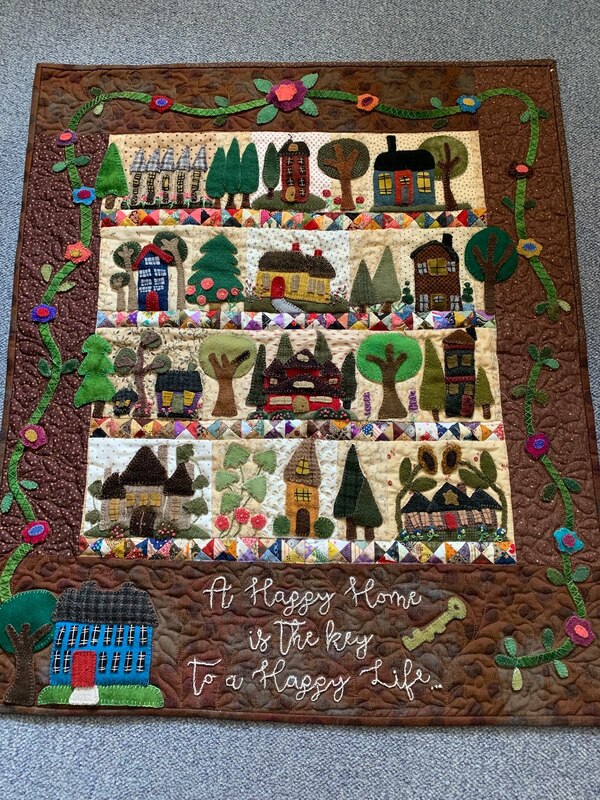 You have to see close ups of the blocks to appreciate her work. 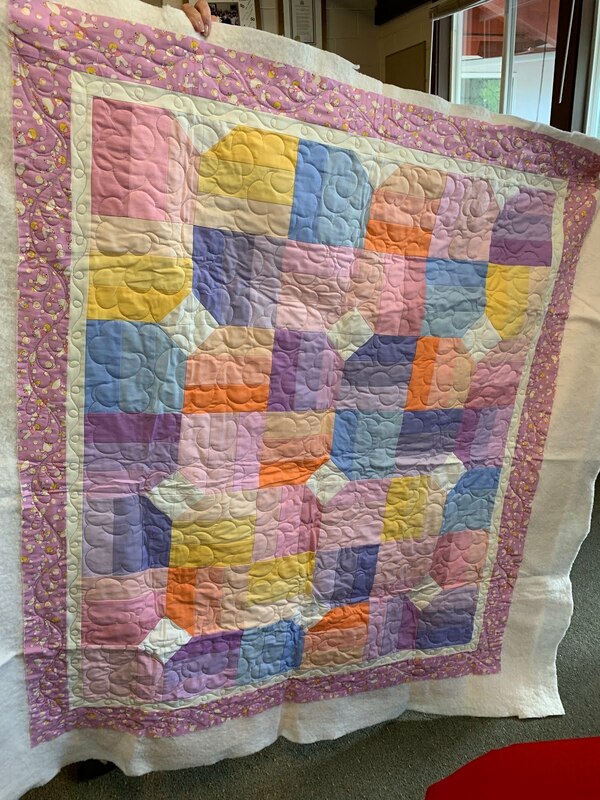 All the blocks were quilted differently. I really appreciate her skill--I'm struggling to try to quilt the doll quilt I made for the Humble quilts swap. Sandy gave me some ideas, which seemed so simple when she described them! I've also been working on my Pam Buda mini for April. It's almost done. I tried Wendy Reed's potholder method of quilting the little blocks individually. I only have one more binding to sew down and it'll be done. Hopefully these two projects will be done this weekend, before the end of April! TADA!! Hope you're enjoying the spring! I've gotten a little sewing since we returned from our little adventure trip last week to Tucson to visit friends. We did a lot of hiking, which was just beautiful. They have a house with a gorgeous view over the Santa Catalina Mountains, and we thoroughly enjoyed the total change of scenery! 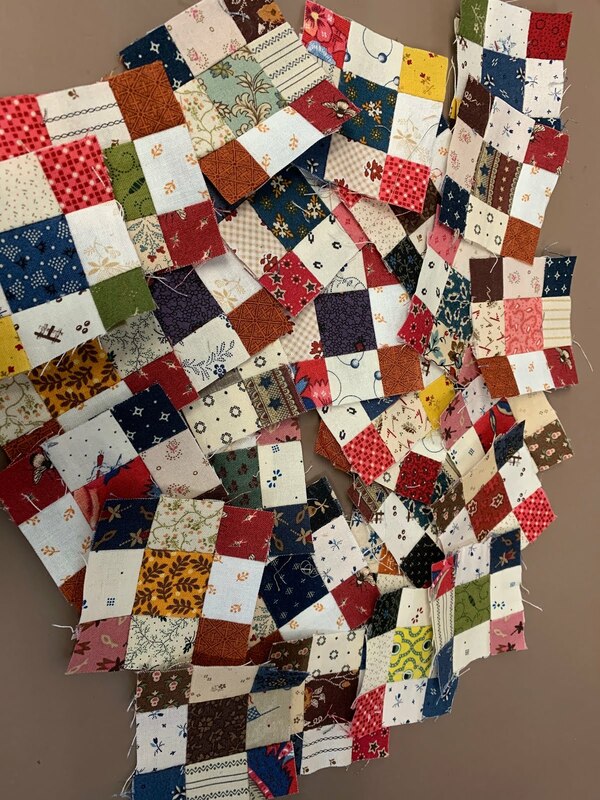 I blitzed on 28 blocks to exchange with a fellow blogger from the Circa 1880 quilt. 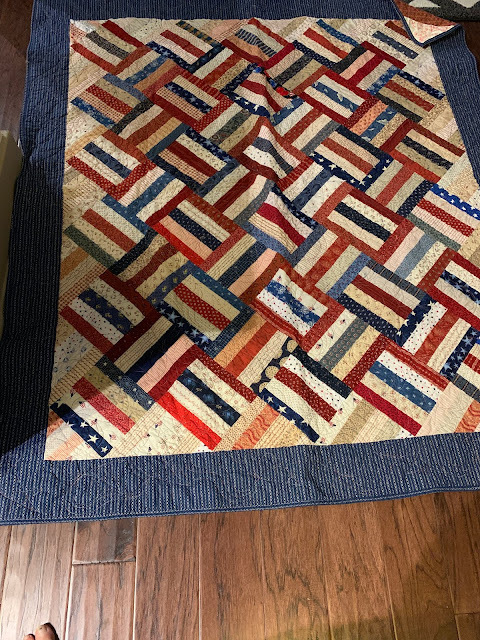 She is way ahead of me but it forced me to figure out a system for strip piecing. Made a huge difference. Hope she likes them! 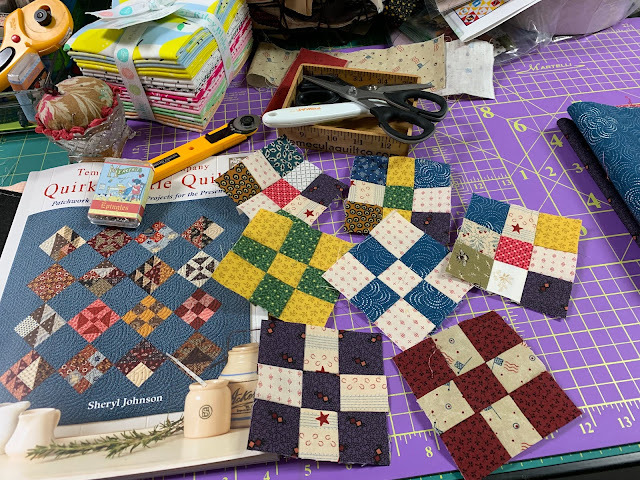 And I started the blocks for the Cheddarback quilt as well. 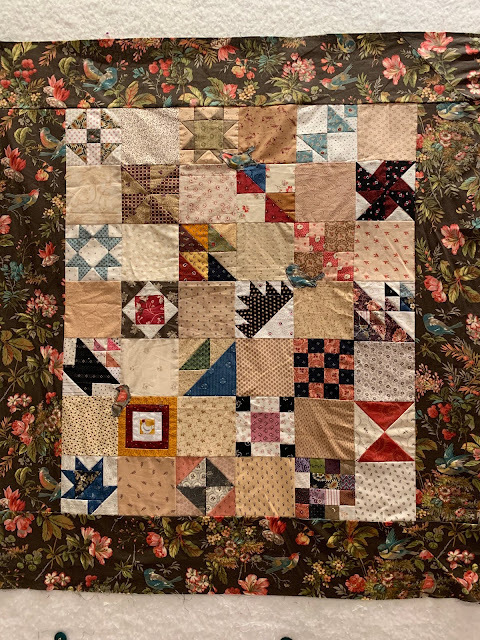 Because I was working on such small pieces for the Circa 1880 quilt, I have been starching like crazy, which I think makes a big difference. I really like the center 6" block of this 12" block... I might make more of them. 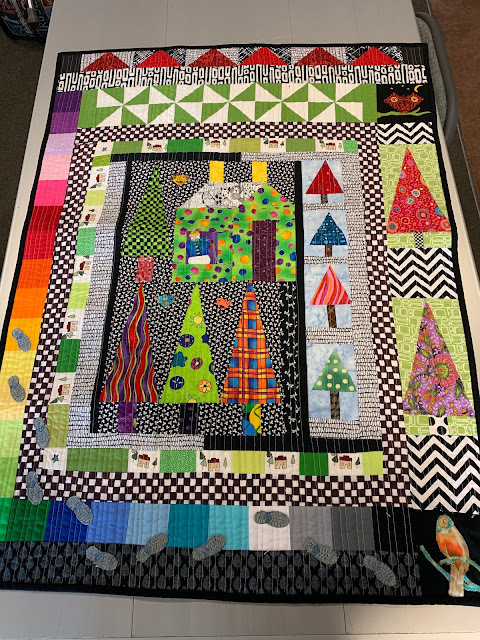 I also finished the Temecula Quirky Little quiltalong and have almost decided on what I'm going to do with the finished little quilt... think Lori's doll quilt swap! 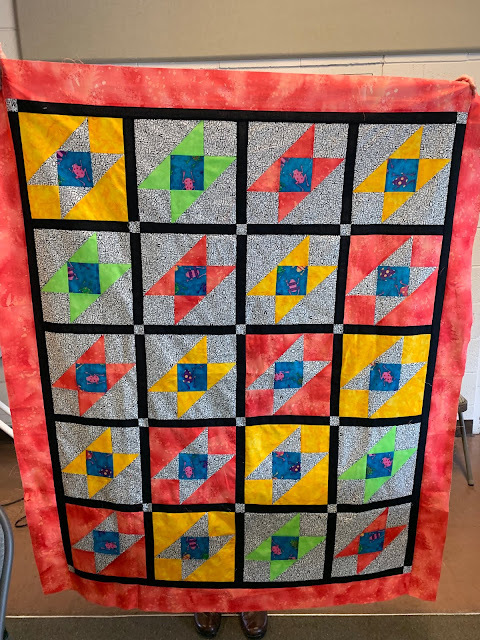 Just need to set them and do the quilting. And in between those projects, I have been sewing the teensy tiny half square triangles for the Primitive Gatherings project I've been working on forever; I only have two more blocks that need the borders; then I can try to put to it together, although it still needs a zillion more hsts and a lot of wool applique for the corner stones. WHEW. It'll be great when done, I keep telling myself. I have had the lucky opportunity this week to have our 5 yr old grandson (the youngest of my daughter's 3), who is almost always loathe to separate from his mom. This week he had no choice (no school and no nanny!) and we've really enjoyed him. He's a different boy without his siblings annoying and making his life difficult. He's been having a great time. I get the other two on Thursday for the weekend as well. 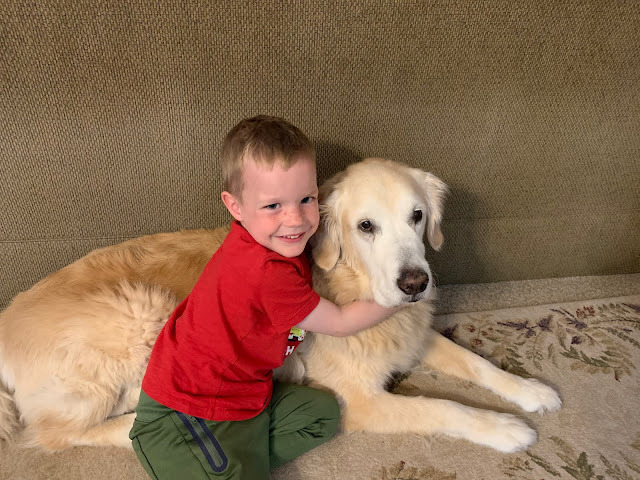 Everyone loves Max and giving him hugs and taking him for walks is a big favorite for the kids. DONITA. Please send me your snail mail address. If you get it to me today, I'll mail it later; otherwise, it'll have to wait until next week.. My dh and I are off for an adventure visiting friends in Tucson. I did get my April mini (Wendy Reed, constantquilter, pay attention!!! VBG) finished and bound. Just need to write the label. 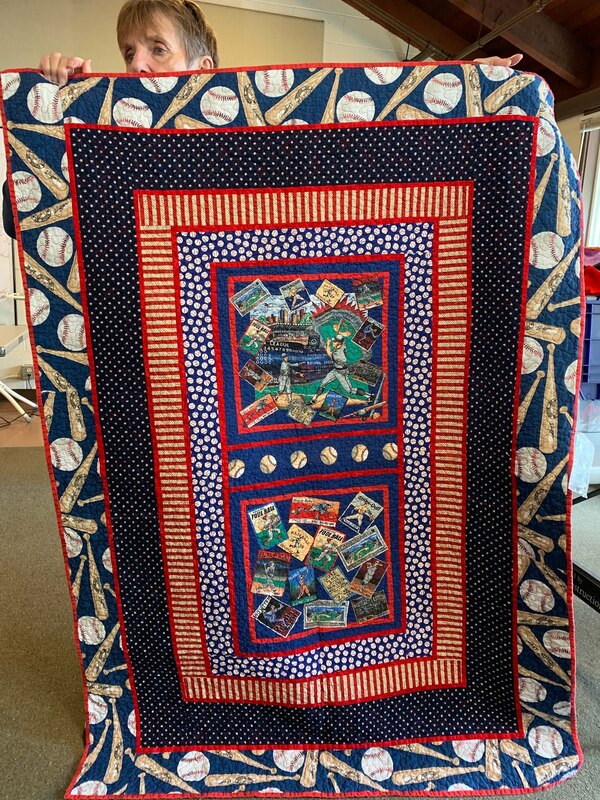 My friend and favorite machine quilter, Sandy Lachowski, did a most phenomenal job. 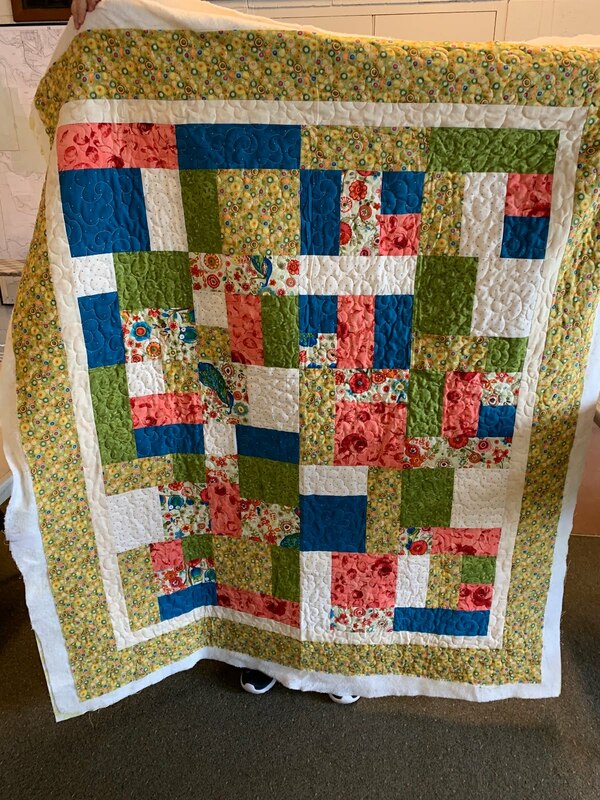 I'm going to show you some of her quilting. There are cute flowers everywhere in the quilting! There is even smoke coming out of the chimneys! Sandy is awesome! We had our grandkids this weekend and I just have to share this picture with you. 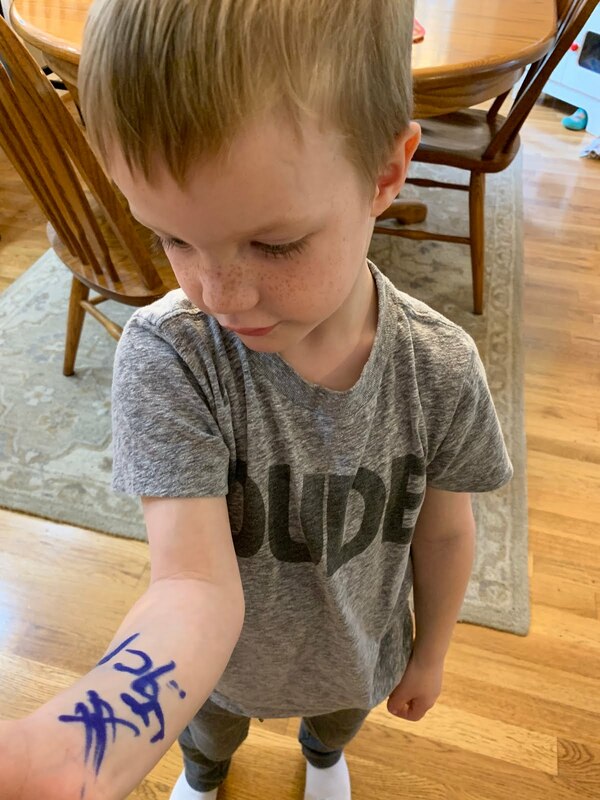 Little Jack was playing with my Sharpies and decided to practice his writing on HIS ARM. Fortunately I have some Norwex washcloths, which are the most amazing cloths for getting stubborn stains out. A good scrub in the bath and it was gone. But just too funny. I think he was pretty proud, actually! Another reason to keep an eye on the little ones all the time! Well all I really have to show for this past week is a bunch of fun 9-patches for the Temecula Quilts quirky little quilts sewalong... quick and easy. 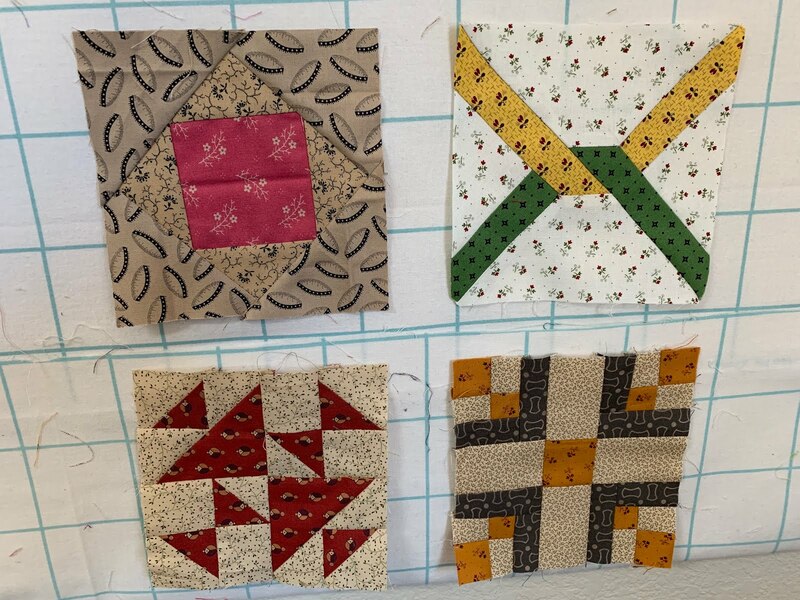 The instructions call for 5 blocks but I had fun using the leftovers and made some scrappy ones too. Busy trying to plan my doll quilt... what fun! Be sure to send me your snail mail address, please. I think I mentioned to you that I joined a local small quilt group which makes quilts for kids. Thanks to Brenda, who lives near me and who I met through my blog (another benefit of the blog, thank you very much! ), who told me about it and said I could join. 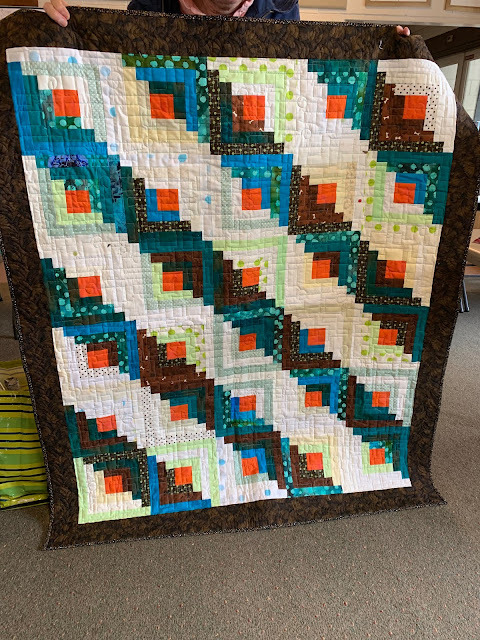 The All-Stars quilt group meets twice a month; they are a prolific group of women and I always enjoy my time with them. Today we met and worked on a group project organized by Brenda. Brilliant idea. 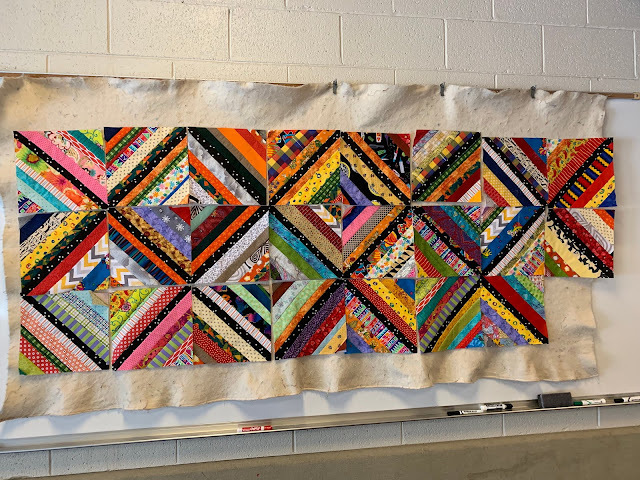 We were going to all make string blocks for a large quilt; several brought their strips along (I brought a pile, I am delighted to report, which got all used up today! that's a first!). Brenda pre-cut some lightweight muslin (for a stabilizer - what a great idea -- and black polka dot fabric for the middle of all the blocks!!). 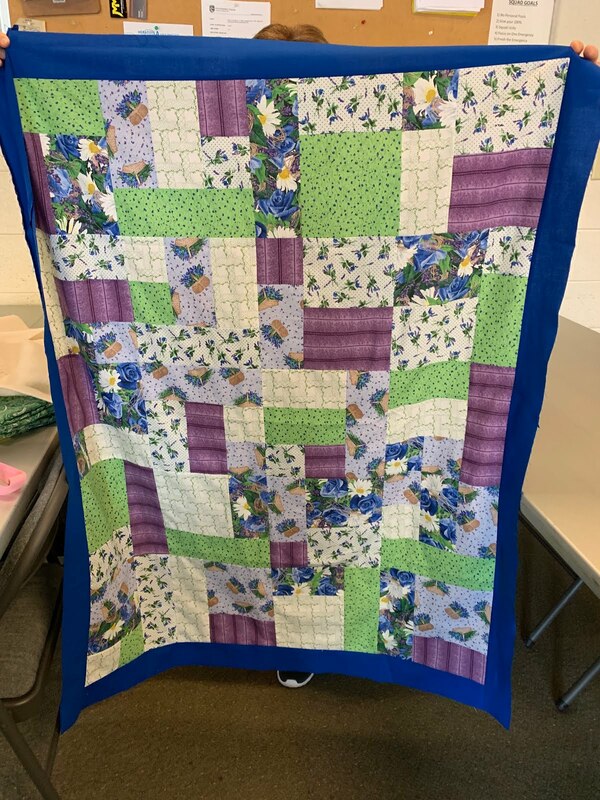 Here are some of the latest quilts the women made to donate. 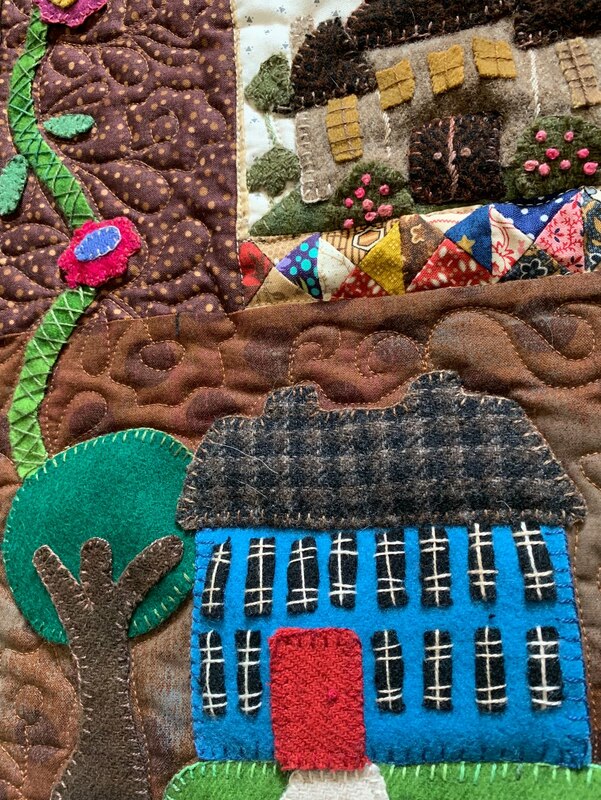 They really are a talented group of women and produce quilt after quilt. Not for kids but from the same group of talented women is this adorable quilt which Brenda has made through a round-robin she joined. Not sure if you can tell that there are little foot-steps that someone made out of denim. 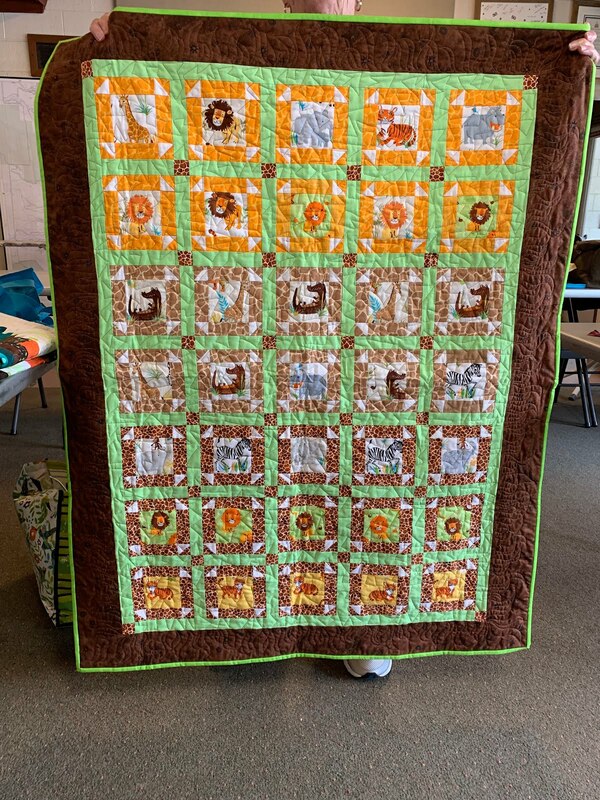 Really a great little quilt. 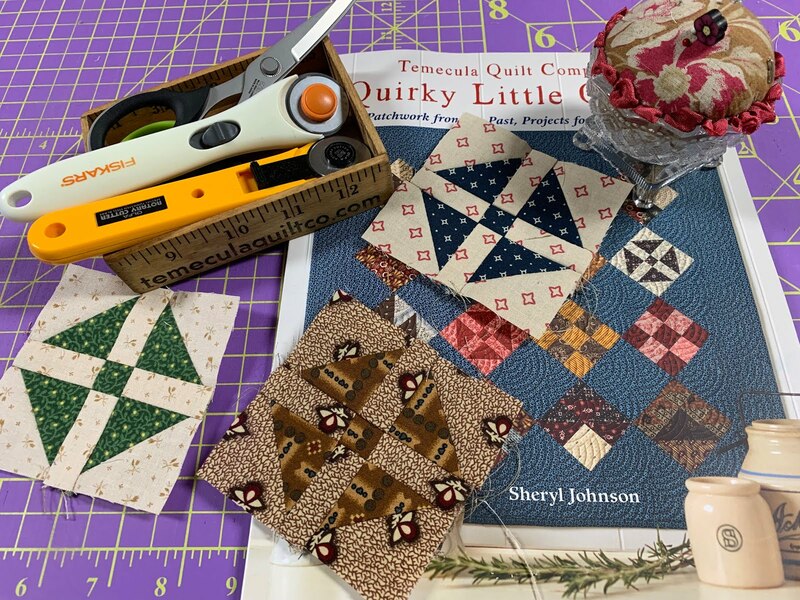 I made three blocks for the new little sew-along using the adorable Quirky Little Quilts book from Temecula Quilts. Do you see that little wood box where I have my scissors and rotary cutters? Isn't that adorable? 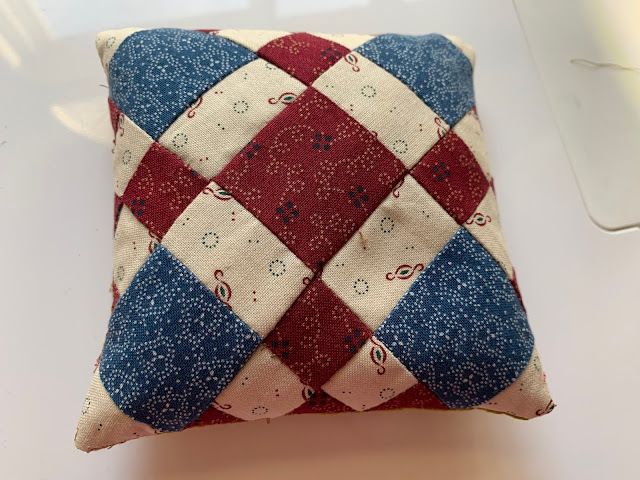 I bought that when we visited Temecula Quilts last month in San Diego. Keeps my cutting table just a tiny bit more organized. I head back up to San Francisco tomorrow afternoon to pick up my daughter's kids since she still hasn't found a nanny; we also will be lucky enough to have them at our house this weekend (and little Eli will be here too since his mom is in town to pack up their house for their move to Quantico... ;-( ]. We will have 4 little grandkids all under one roof! How awesome is that!!!!! 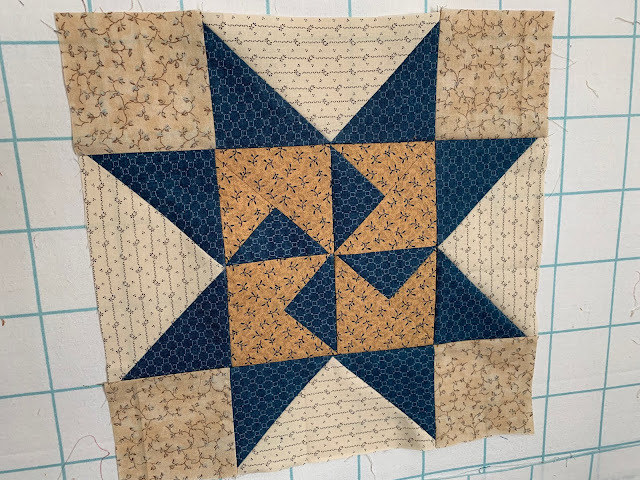 And I also did the optional block for the Cheddarback project. 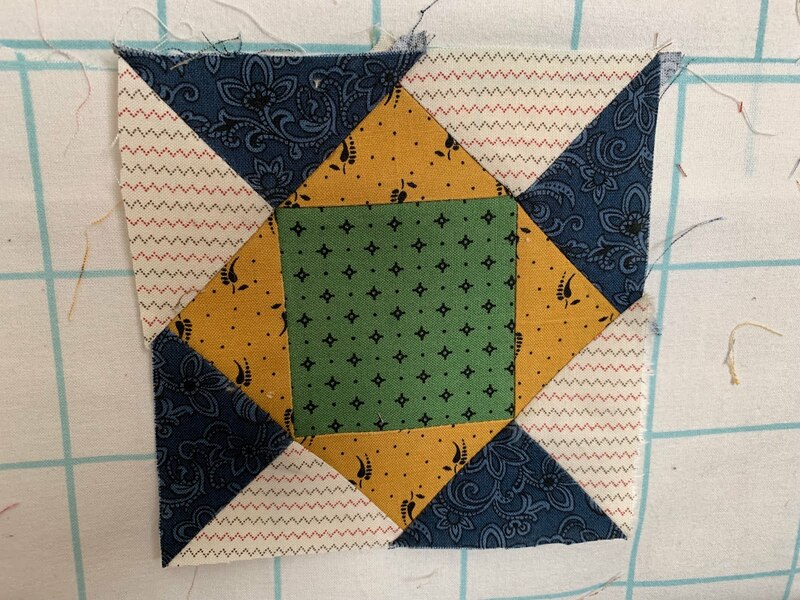 I really liked this block, which helps the creative juices, don't you think?? 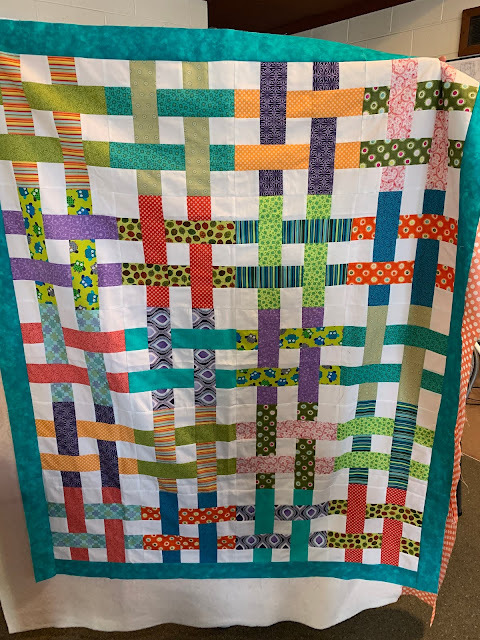 It's a really bright and fun quilt so I think I'll enjoy making the blocks. I'm getting a little frustrated with all these little sew-alongs---making blocks but not putting anything together. 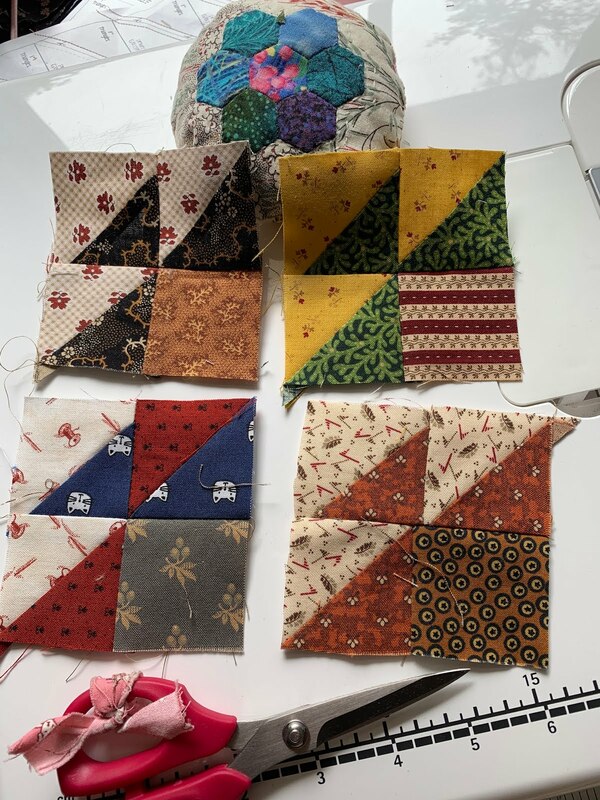 I'm getting ready to take one of my large zip-lock baggies with a slew of blocks and sew them together so I can at least feel like I'm getting something done--know what I mean?? This should be a productive weekend as we don't have the kids. It's very weird for us to be home and NOT have the kids so I'll keep myself busy. 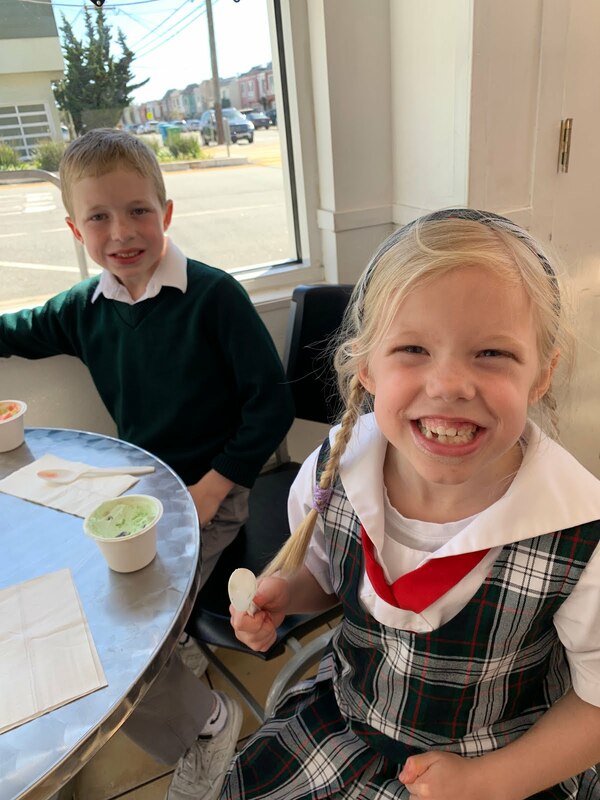 I did go and pick them up on Thursday and we made our usual stop after school...ice cream!! I wish I could say that I have lots to show for the long delay in my posting but I don't. I've done a lot of babysitting since my daughter lost her nanny, so that explains where most of my time went. I'll get straight to the good stuff. I posted months ago that my son had decided he wanted to try to join the Marine Reserves in the Officer's Candidate School in Quantico, VA. We were very surprised but definitely supportive. This past weekend, we all flew back to DC to attend his graduation ceremony and events. It was really momentous. He has spent the last 10 weeks participating in the most grueling activities and tests. Probably 40% don't make it. So we were really proud. What did I give him as a graduation gift? My husband and other kids wanted to get him a knife. I sent him a quilt! And it really came in handy for the graduation since we reserved a row of seats using the quilt and it kept our butts warm during the very cold morning . I had originally made this as a quilt of valor but never managed to send it off. It is being put to great use by a newly commissioned Marine! I thought it was perfect; especially since my son's family doesn't have any of their belongings yet. A proud mom has to share a picture! I did work on the blocks for the Cheddarback sewalong and got those first 5 done. I can even say that I really enjoyed the one with the set-in seams! 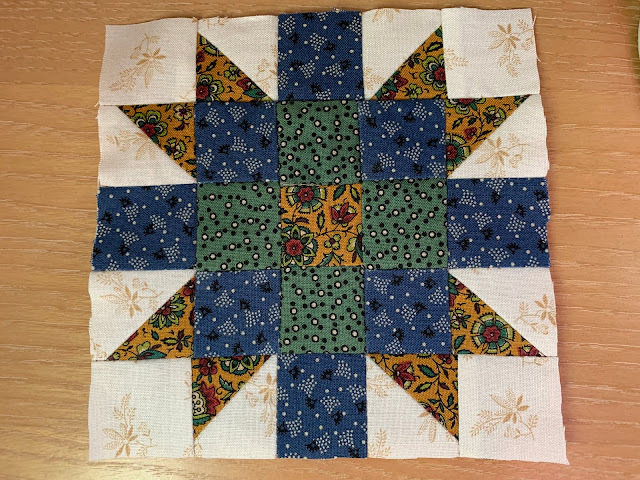 I also did finish my March mini, Wendy Reed (constantquilter). This was a top I'd started several years ago with a Cheri Payne sew-a-long but never finished. I added a border and added some little birds (sadly the top got some kind of a stain while waiting its completion so I decided to cover it up with birds!!). 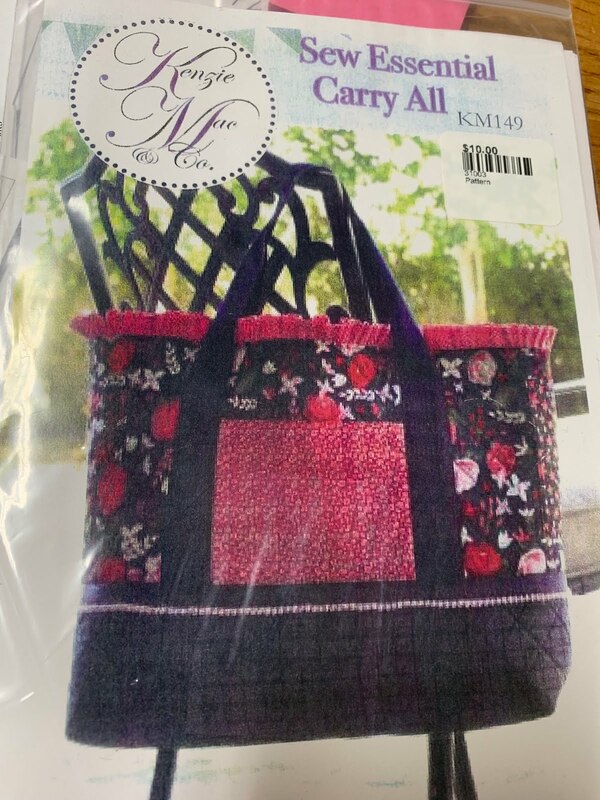 The border fabric is an Edyta Sitar fabric that is fabulous! 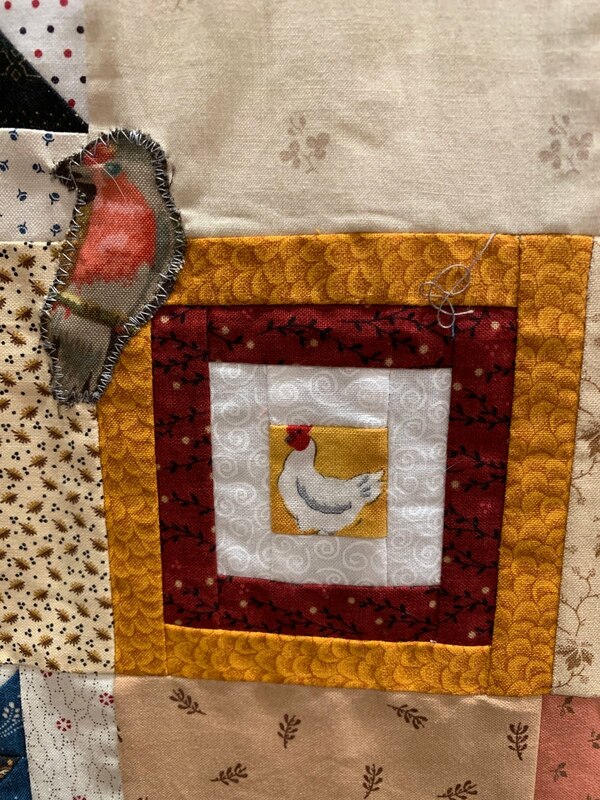 This is a close up of one of the blocks with the birdie sewn on. I think the blocks are maybe 3-4" so it's not very large. 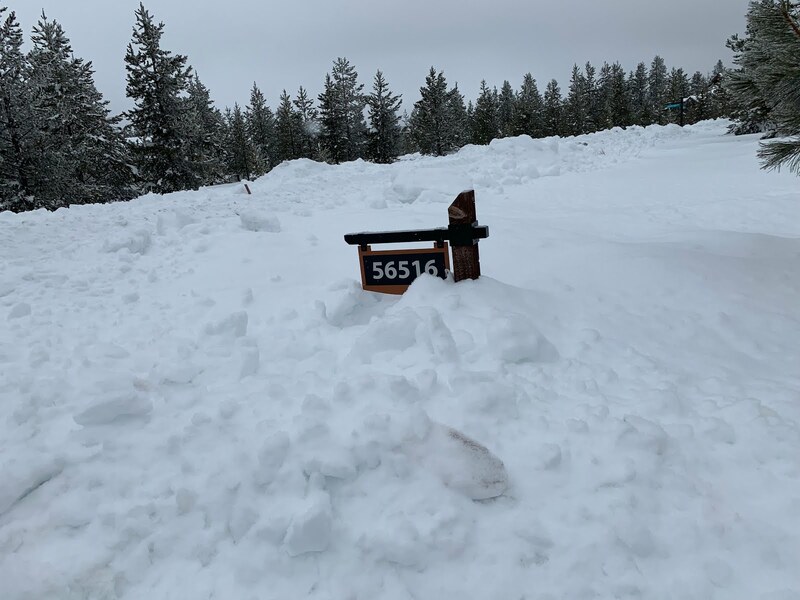 During the past few weeks, I flew up to our cabin to visit my mom and encountered tons of snow. I even had to shovel my way into the driveway in the dark because the plows had blocked it while widening the driveable portion of the road. This is our house number, which is several feet off the ground. It's warmed up since then and I suspect the snow will be gone this week. There was quite a storm as you probably saw in my friend Lori's posts (humblequilts). 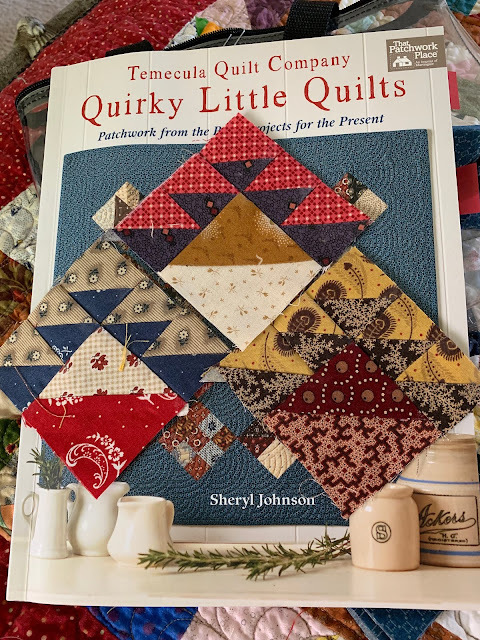 I am a retired attorney, filling my days with family, friends, fun and waaaay too much fabric!